Prime Minister Nguyen Xuan Phuc, his spouse and a high-ranking delegation of the Vietnamese Government are paying an official visit to Romania from April 14-16 at the invitation of Romanian Prime Minister Viorica Dancila. On the first day, the PM visited Prahova, a county with dynamic economic development in Romania and worked with Prahova’s governor Ioana Madalina Lupea. He also visited the Vietnamese Embassy and held talks with the Vietnamese community in Romania. 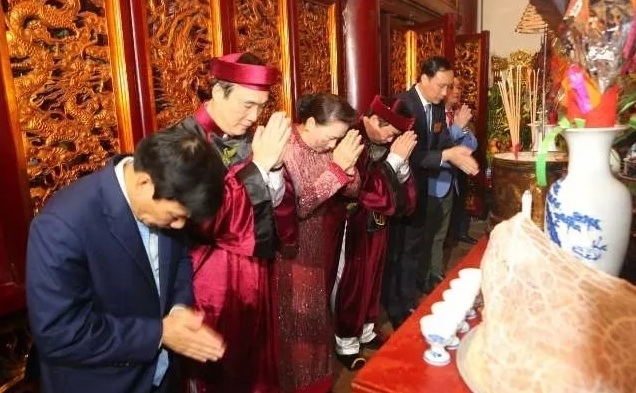 A wide variety of activities were also held from April 12-14 around the country to celebrate the Hung Kings’ Temple Festival which honours Vietnam’s legendary founders. The US Department of Commerce (DOC) has announced the preliminary antidumping duty levels applied on Vietnamese shrimp during the 13th review period. Accordingly, 31 Vietnamese firms can enjoy a 0% antidumping tax rate. Chang Vo Cua Em (My Mr Wife) by Director Charlie Nguyen, which is a movie on the struggle of women in modern society, won the 2018 Golden Kite Award for the best featured film. In the TV series category, the Golden Kite awards were presented to director Do Phu Hai and Pham Ngoc Chau’s 40-episode Ben Kia Song (The Other Side of the River), and director Mai Hong Phong’s 28-part Quynh Bup Be (“Doll” Quynh). The Vietnam Animation Studio's 30-minute Bi Mat Hang Duong (Secret in Duong Cave) received the Best Animation Film award. Me A by young director of Khanh Chi of the Quang Binh Province Television and Radio Station was named Best Short Film. Director Doan Hong Le of VTV received the Golden Kite Awards for Best Documentary with Hay Nho Ban Dang Song (You’re Still Alive). Two Vietnamese towns, Da Lat in Lam Dong province and Sa Pa in Lao Cai province, have entered the new list of 23 places in Asia to view the stunning spring season by MSN. Vietnamese aerobic artists take gold in the group category. 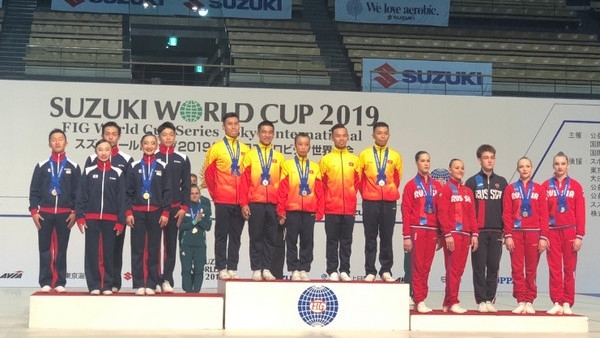 Vietnam’s aerobic team bagged three medals of each colour at the Suzuki Cup 2019 - FIG World Cup Series Tokyo International in Japan. In addition, Vietnamese athletes brought home three silver and three bronze medals.